Home Dynanic Pixels games Hello Neighbor horror horror games Virtual Reality Don't Faint While Playing The Game Hello Neighbor. Wait Until It Comes To VR! Don't Faint While Playing The Game Hello Neighbor. Wait Until It Comes To VR! Players would need to break into their neighbor's house in this new stealth/horror game from Dynamic Pixels. Hello Neighbor, which may be inspired by movies such as Don't Breathe, has been announced for PC gaming. The game tasks players to invade the neighbor's house and discover what he has been keeping inside the basement. In suspect of being infiltrated, the neighbor will do his best to defend himself and probably kill you in the process. Players may need to apply different techniques such as luring the neighbor away and generally trying to outwit him. For this to happen, game developers have ingeniously made a very interactive environment. Everyone is encouraged to experiment on many possibilities with its sandbox-style gameplay to solve the mystery. But don't expect everything to go easy. Developers of the game created a neighbor AI that can learn from what the players do. It means that the neighbor may be able to see through your plan given the pattern of what you do to break into their house. For example, if you repeatedly smash windows in the game, the neighbor will be able to read your moves and maybe place a bear trap on the anticipated path that you're going to take. If you have been spotted, you won't lose the game yet. Players can still try to escape but this puts the neighbor at very high alert making the task of getting to the basement a lot more difficult. If the game developers are serious on delivering their promises about the AI, things can be very intense. 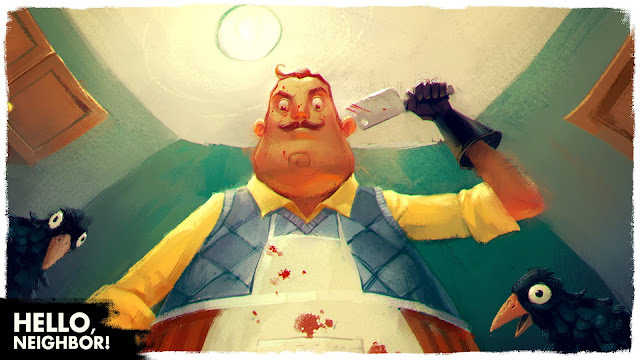 Hello Neighbor will be one of the best and most unique games to be released soon. 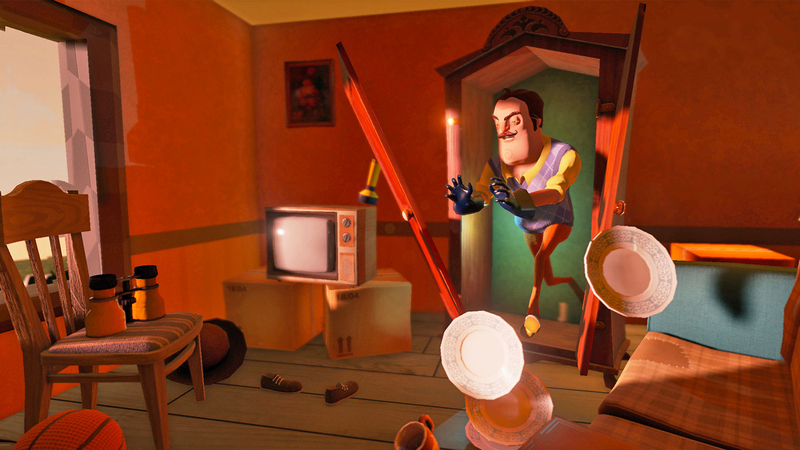 Hello Neighbor promises a very thrilling experience especially if it gets to virtual reality gaming. Unfortunately, it won't be released this year even after the release of Sony Play Station VR. We can expect the game to be available on Summer of 2017 or later than that.